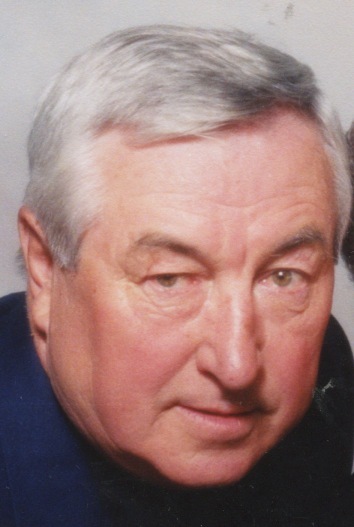 OSWEGO, NY – Joseph T. Knoop, 74, a resident of East Fifth Street, Oswego, passed away Saturday April 13, 2013, at St. Joseph’s Hospital, Syracuse. Born in Oswego, he was the son of the late Frederick “Joe” and Mary (Sullivan) Knoop. He served in the National Guard. Joseph worked as a pipefitter for Local 73. He worked for J&K Boiler Company in Oswego and also worked as a supervisor for most of the 50 years. He worked on all three local nuclear power plants and on various construction projects in the area. He was a licensed charter boat captain aboard the “Midnight” at both Henderson and Oswego Harbor. He was a member of the Elks, the Leatherstocking Club and the Hedge Hog Hunting Club. He was an avid sportsman known as the “NCL” North Country Legend. He was the last surviving original member of the Tini-Time Sportsman Club of Childwold, NY. He loved spending time with his grandchildren and was loved by everyone. Surviving are his wife, Joan (Dehm) Knoop; a daughter, Michele (Brad) Kocher of Scriba; step-daughters, Jodi Smith of Phoenix and Jan Baum of Fulton; a step-son, Jeffrey (Dawn) Smith of Scriba; five grandchildren, Elizabeth Henderson, Abigail Henderson, step-grandchildren, Nikolas Ravesi, Kody Ravesi and Maddison Baum; nieces, nephews and cousins. He was predeceased by an infant brother, David Knoop, in 1943. Services will be held 11 a.m. Wednesday at St. Mary’s Church. Calling hours will be held 3-7 p.m. Tuesday at the Nelson Funeral Home, 11 W. Albany St., Oswego. In lieu of flowers, donations can be made to American Heart Association, PO Box 3049 Syracuse, NY 13220.